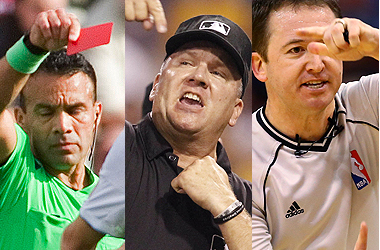 Sportsbooks can get pretty rowdy, but when it comes to getting the boot from the book, these stories take the cake. 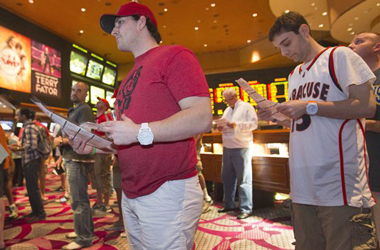 If you’ve ever been in a Las Vegas sportsbook for a NFL Sunday or a busy day during the NCAA tournament, you know that emotion can sometimes get the best of bettors. The book is often times the loudest room in the casino and it’s nothing to hear frustrated F-Bombs explode after an interception, the escalating jawing between rival sports fans or even a ticket-ripping hissy fit when a last-second three busts open someone’s bet. So what happens when that tension boils over? What does it take for a sports bettor to get the boot from the book? Most spots don’t have any sort of code or ratings system, but rather operate on more of a “you know it when you see it” stance. 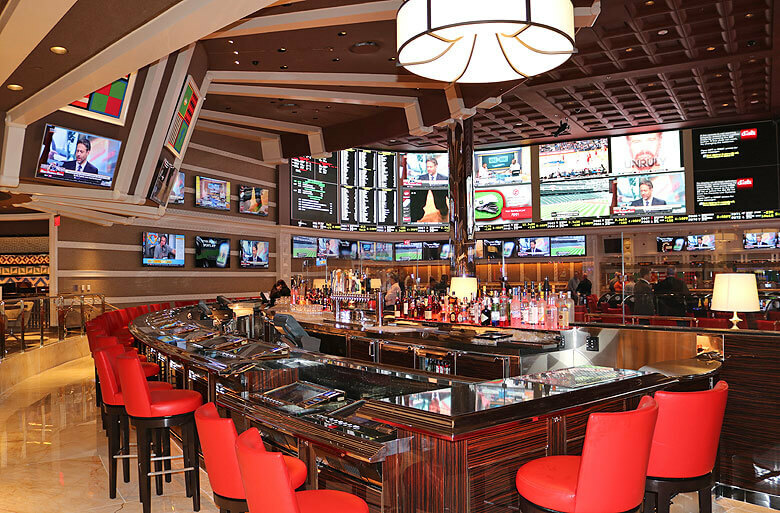 “There are a lot of things that would get you kicked out,” said Jay Kornegay, vice president of race and sports for the Superbook at Westgate Las Vegas. “It’s generally summed up as, ‘Don’t act like a jerk.’ It’s actions like anywhere else – I don’t think sportsbooks have any different rules than a restaurant or a bar. Terry Cox, director of race and sports at the Peppermill Reno, provided an idea of just how far one can go. And how about the do-this-once-and-you’re-out scenario? Bob Scucci, Nevada regional director of race and sports for Boyd Gaming, has seen plenty in his 25 years at sportsbooks. He concurred with Cox and Kornegay on many things, and added another interesting one. Scucci said patrons who try to borrow money from other customers will also get run in a hurry, as too often such a situation leads to a physical confrontation. And much as patrons might get frustrated while trying to place a bet, or waiting in line to do so, an absolute no-no is taking out that frustration on those behind the counter. Nick Bogdanovich, another longtime Las Vegas sportsbook stalwart, says nothing will get a customer kicked out faster. But with sports betting having such extreme highs and lows, Bogdanovich has exercised some discretion in other cases. A more serious issue all sportsbooks have to deal with – and all generally agree on the guidelines – is when bettors knowingly and repeatedly take advantage of a clearly erroneous line. Kornegay then offered an example: Let’s say North Carolina is hosting Wake Forest in college basketball, and the Tar Heels are 20-point favorites. But somehow the line got flipped on the board, and Wake Forest was a 20-point chalk. Kornegay said pretty much all books would rightly take the hit for the mistake, but as a general rule, bettors who test the under-the-radar strategy could find themselves permanently banned. “There are so many events each and every day that mistakes are bound to happen. We made the mistake, we honor those tickets,” he said. “But there are some who will low-limit bet multiple times. The same guy bets 20 times for a total of $100. In that case, we do have the obligation to trespass that person. He can’t come back. Fortunately, Kornegay said, there are plenty of bettors who might catch the opportunity, bet it once, then let the ticket writer know there’s something wrong with the number. Others even point it out without betting it. Of course, that’s a serious issue that most patrons wouldn’t even be aware has taken place. The more humorous anecdotes of patrons getting tossed are far more visible – for better or for worse. Then he provided two memorable ones. “A guy was accusing me of having a hotline to Mike Shanahan on the sidelines,” Kornegay said. “We had to get security to ask him to go. He was a little overzealous in his conspiracy theory. Yeah, that’s probably enough said. Occasionally, a patron has had too much to drink and just completely loses sight of where he is. And when you gotta go, well, you gotta go. Then there’s the unique case of Jimmy Vaccaro, who’s been at this for four decades and is currently an oddsmaker at South Point. For once, Vaccaro was stumped by a question: Had he ever thrown anybody out of a sportsbook? Scucci recalled a situation that was hardly a fight, and in fact was about as sedate as could be, from back in 2005, during his days at the legendary but now demolished Stardust. Scucci said the gentleman was a patron of the Stardust casino for all of its nearly 50 years – it was imploded in 2007 – and was a very familiar face in the book from its inception in 1974. “I knew him well,” he said. “He liquidated everything he owned. He expected to be gone months before he actually died. He outlived his coverage, you might say. The book obliged to the degree it could under such an unusual circumstance with such a loyal customer. But it didn’t end as the patron hoped. Still, the gentleman came quite close to fulfilling his wish, probably close enough that he died a happy man. “He lived a very full life,” Scucci said. On a far lighter note, Cox recalled an instance with one of his employees that showed it’s not just patrons who could be shown the door. “At another Northern Nevada sportsbook, before I came to the Peppermill, the Raiders were in a January 1994 playoff game with the Broncos,” Cox said. “One of my supervisors was a strong bookmaker and immensely personable, a great athlete and a Vietnam vet, and a fanatic supporter of John Elway and the Broncos. As the Raiders pulled away from Denver in the second half on their way to a 42-24 win, there were three Raider fans whose trash-talking kept getting louder and more obnoxious and annoying. Colin Kelly is a Las Vegas-based contributor for Covers. Follow him on Twitter: @ColinPKelly29.